Thomas Embling Hospital is a secure forensic mental health hospital in Victoria. Most patients are from the criminal justice system, either transferred from the prison system or ordered by the courts to be detained for psychiatric assessment and / or care and treatment. The hospital had 116 beds, spanning acute and continuing care, however with numbers set to double over the next 10 years the facility needed to be expanded. The government committed $16 million to fund the new Secure Psychiatric Care Unit (SPICU) and 10-bed infill which is an extension to the existing campus. The SPICU provides eight urgently required short-stay, high-acuity services for consumers who require around the clock supervision before returning to the justice system or to the Hospital wards for further treatment. Root Partnerships provided project management services to the Department of Health and Human Services Victoria across all phases of the project including project establishment, stakeholder consultation, master plan review, feasibility study, schematic design, design development, contract documentation, tendering, construction superintendence and all post-construction activities including commissioning and the defects liability period. The key challenge – over and above the need to keep the hospital running with minimal disruption – was security. The work zone was inside a secure perimeter which contained patients from the criminal justice system undergoing psychiatric treatment. 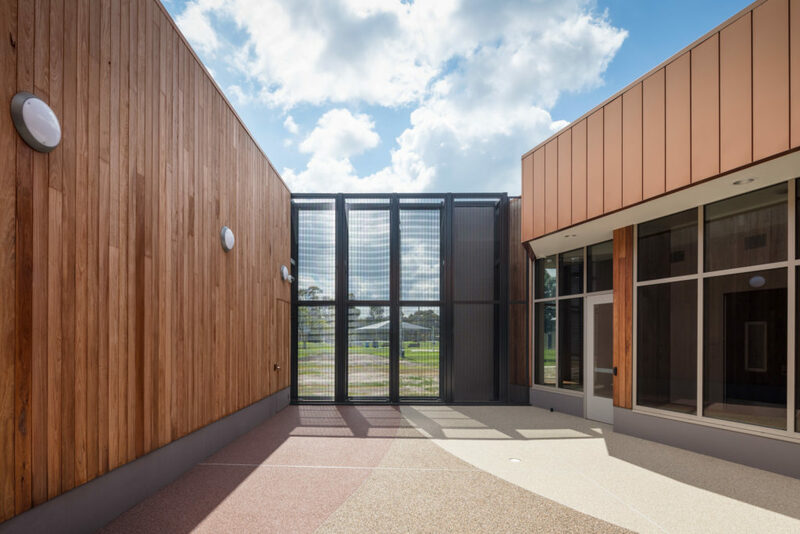 Because of this the site had to be treated not only as a hospital but also as a prison, and this had a ‘knock-on effect’ which impacted staging, program, site induction and design.